Our Cinco de Mayo party is always a big hit in Boston. Restaurant capacity is around 240. 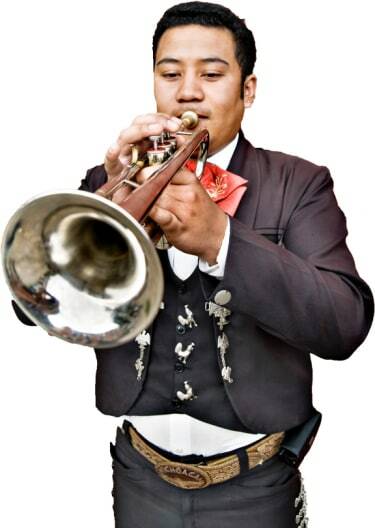 We would like a Mariachi Band to play sometime between 6pm and 10pm for either a half hour or hour depending on prices. Thanks for your time! Arriving on the music scene in the late 19th century, Mariachi Bands brought an upbeat yet traditional sound to Mexican culture. With a blend of guitars, violins, trumpets, the guitarron, and the vihuela, Mariachi music can truly liven up a party! The upbeat authentic Mexican folk music is the perfect accompaniment for wedding receptions, Cinco de Mayo parties, and so much more. Search for Mariachi Bands in Boston, Massachusetts above. Please note that these Mariachi Bands may also travel to Charlestown, East Boston, Brookline Village, New Town, Allston, Jamaica Plain, Dorchester, Brighton, Chestnut Hill, West Medford, Mattapan, Roslindale, Milton Village, Waverley, Newton Corner, Nonantum, West Roxbury, Arlington Heights, Newtonville, Newton Highlands, Newton Center, Hyde Park, Nahant, North Waltham, Newton Upper Falls, Waban, West Newton, Needham Heights, Auburndale, and North Weymouth.